Sculpture Size: 21 X 10.25 X 12.25 in. Spectacular new sculpture from the Frogman! For the first time ever, Tim has included a turtle in one of his compositions, making this a terrific collector piece. 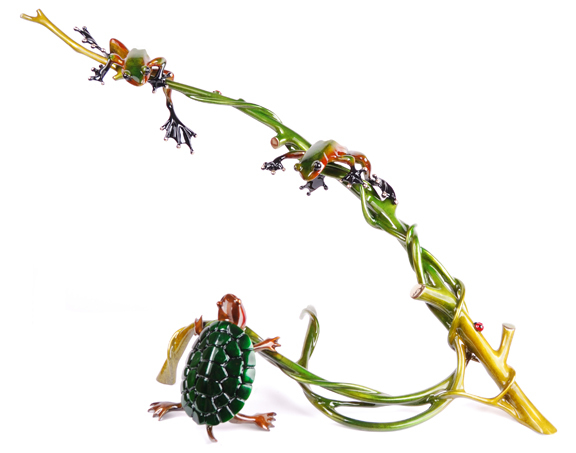 The organic branch balances the smoother contours of the frog and turtle to create one harmonious work of art that you'll be proud to display in a featured spot in your home.